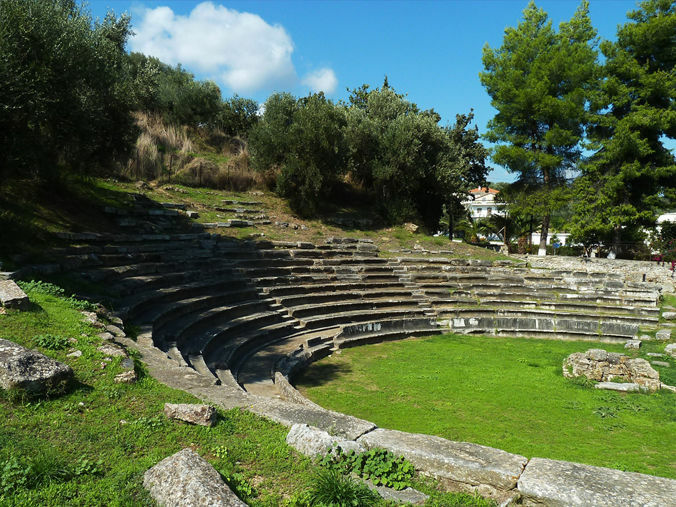 GYTHIO is located in middle south of Peloponese at the center of the Laconian Gulf. It is a lively, charming little harbour town. 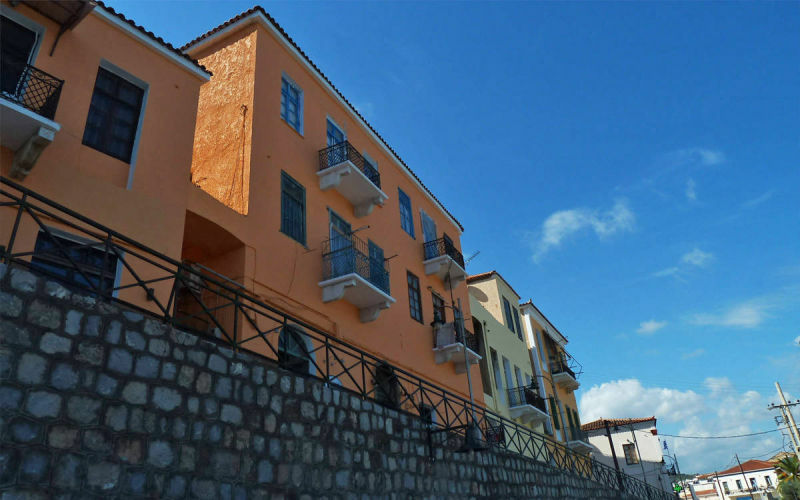 The most of its houses are two- or three-storey neo-classical mansions, stuck to the steep side of the Mt. "Koumaros". 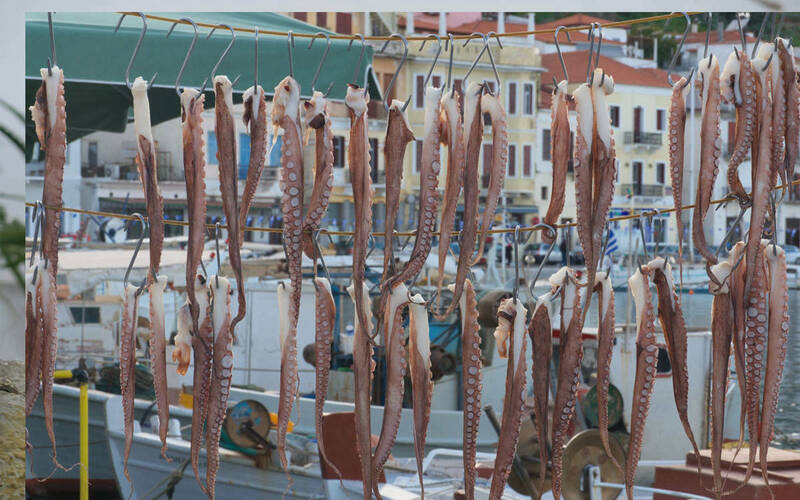 A long sea-side promenade, the colourful fishing boats, the narrow streets and stairways produce the typical Greek environment which faszinates every visitor. There are not realy mentionable ancient objects to be studied in Gythio. 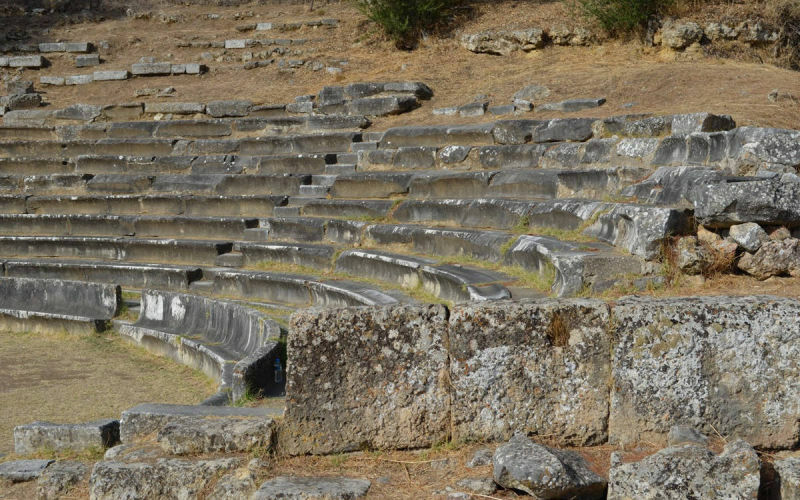 From its ancient past only a small Roman theatre was left by an earthquake that destroyed the city in the 4th century. 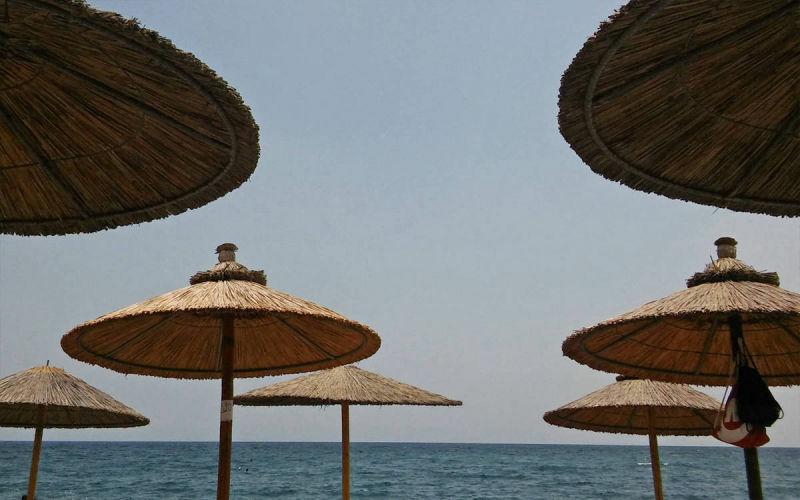 So, every visitor is free to enjoy just greek present life. Gythio is protected by spurs of the mighty Taygetos mountain range. Its highest "Profitis Ilias", with 2.407 m the highest mountain on the whole Peloponese, makes a marvellous background scene. 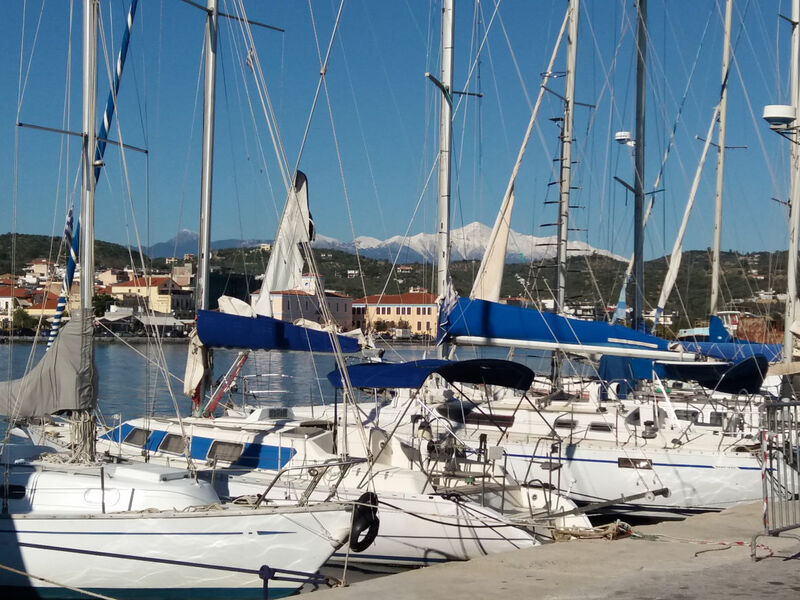 From November to May, the snow-white peaks are a magnificent sight behind the deep blue sea. 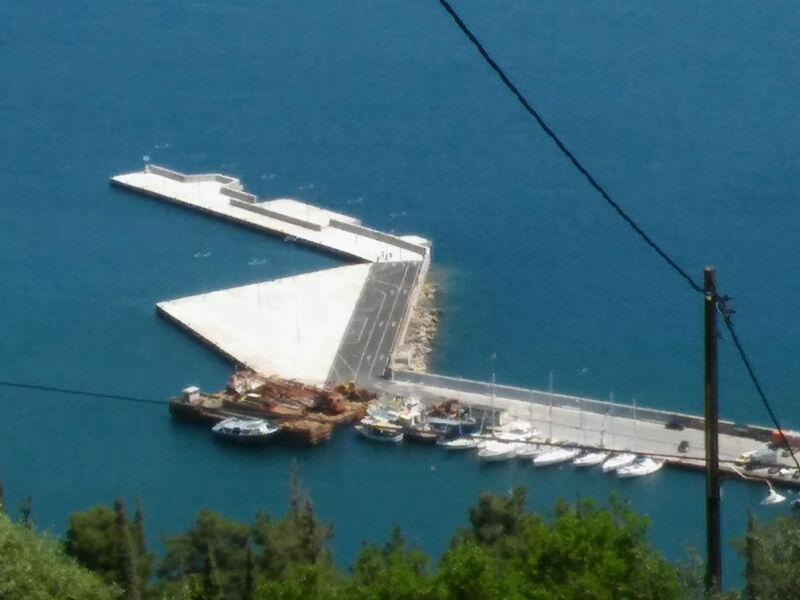 A little island called "Kranai" connected with the mainlaind by a short dam, protects the port of Gythio town from the open sea. It is a beautiful place with pine-trees and an ideal view-point to overlook the gulf towards the Parnon mountain range in the east and Taygetos in the north-west. 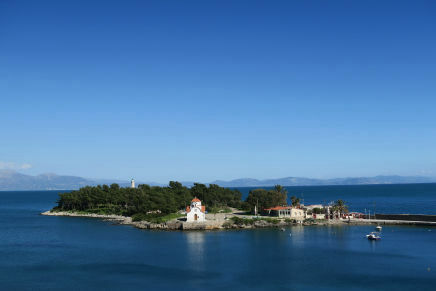 As it is reported by Homer, the island was the first refuge of Helen and Paris on their journey to Troy. According to the myth, paris forgot his helmet on the islet as he was leaving - hence its name, since in Greek a helmet is calles "kranos". An interesting site on Kranai is the restored Tzannetakis Tower, a Maniot fortress-residence belonging to the Tzannetakis-Grigorakis families. 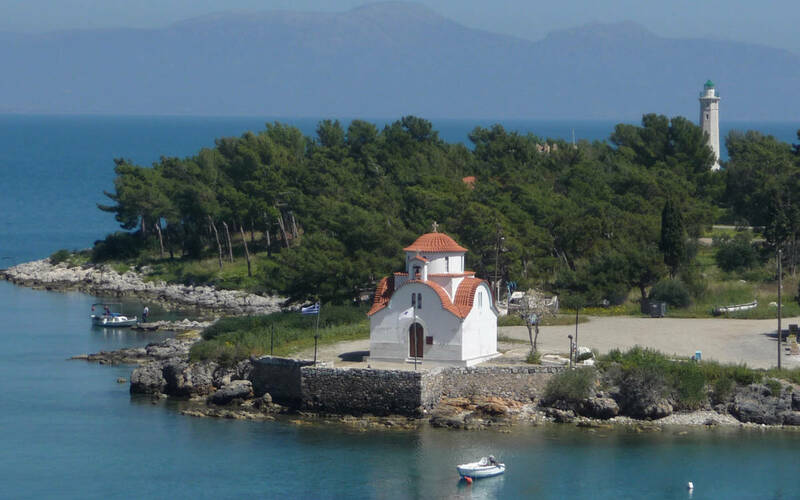 Also worth visiting are the chapel of Agios Petros and the octagonal 22 m height lighthouse built in 1873 of tenarian marble. 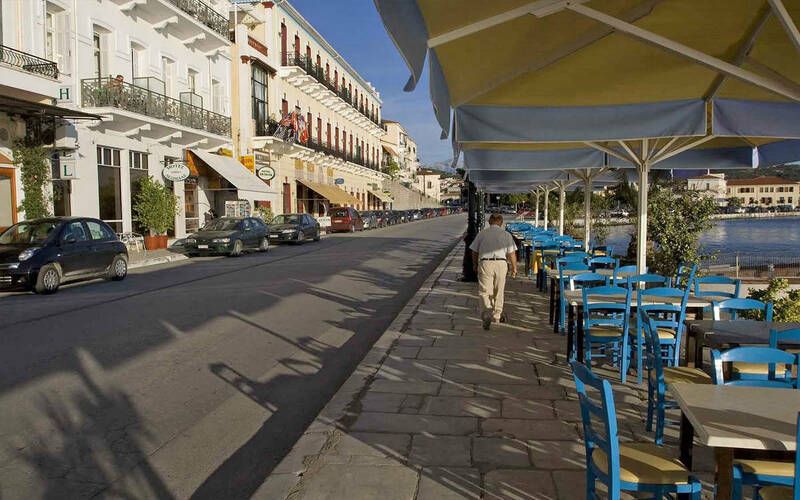 In Gythio one can enjoy the activities of the life of a modern but romantic provincial town. You see the fishermen lying with their boats in the harbour, patiently repairing their nets, active waiters in the taverns along the coastal road, children playing on the square with the mothers chatting, the shopkeepers on the sidewalks outside their shops and relaxed people during their evening. As well as the inhabitants as tourists enjoy these tranquil rhythms of the town and its natural beauty. 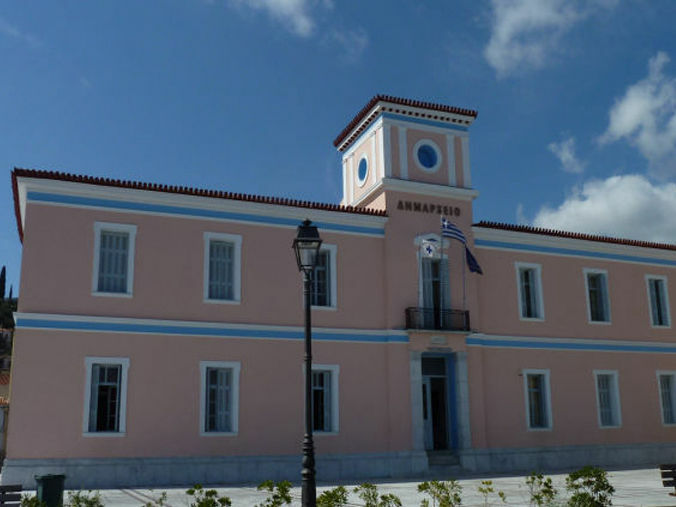 Notable and remarkable buildings in Gythio are the Town Hall and the Old Girls' School as works from the Bavarian architect Ernst Ziller, who has designed between 1870 and 1914 over 500 private and public buildings for Greece, most for Athens, for example the National Library and much more. 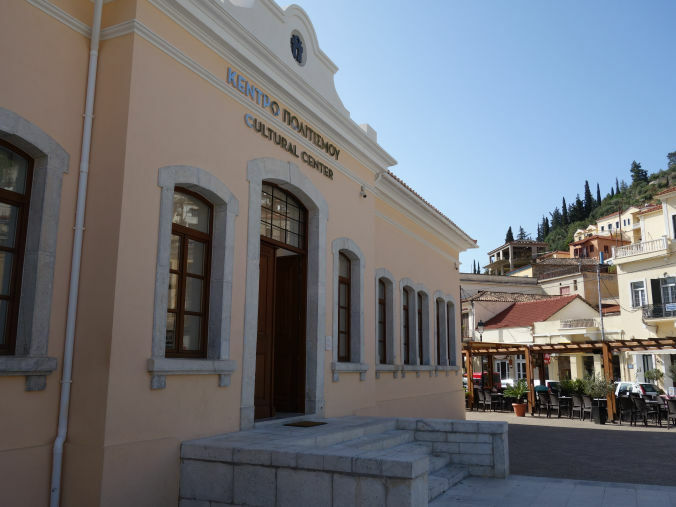 was built in 1891 and has been characterized as a historic listed monument because it is a sample of neoclassical architecture of the late 19th century. is a neoclassical building from the year 1896 that became renovated in 2016 and now is used as Cultural Centre of Eastern Mani. Learn more about it here. was built according to mythology by Hercules and Apollo. It was refurbished during the Roman era. Above the theater, at the top of a 50-meter hill, was the Acropolis. Gythio impresses with its nobility and its insularity. His romance is reflected in his deep blue waters, with the fishing boats and sailing boats, and Prophet Elias of Taigetos as a fantastic backdrop. 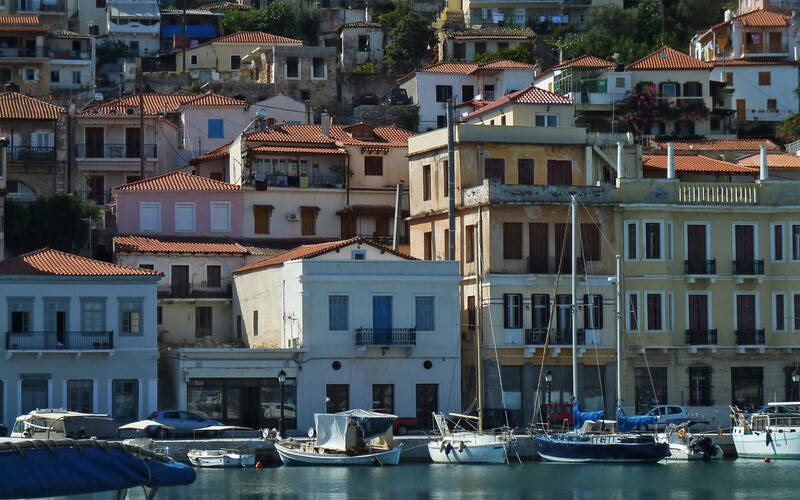 Last but not least, the town shines through its picturesque harbor with many small boats, fishing and sailing boats anchored at the quayside. 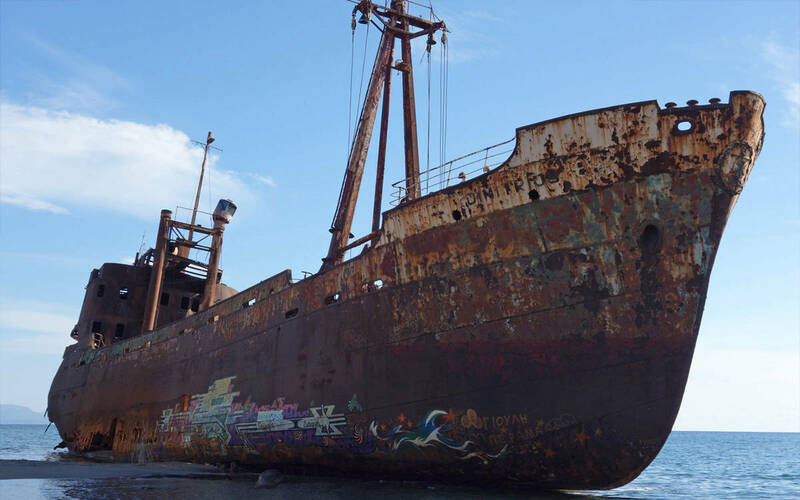 It also has a port facility that has just been expanded considerably in recent years by a ferry terminal with two specialized berths and a cargo berth with a total of 153.5 meters and an area of 5,600 square meters. So it is a port of call for cruise ships and sailing ships in the eastern Mediterranean.